I promised Lou we could share this post but first I wanted to crow a little about how GIMME SHELTER was just named a 2014 B.R.A.G. MEDALLION Honoree in Nonfiction. The Book Readers Appreciation Group is a private organization whose mission is to discover new and talented self-published authors and help them give their work the attention and recognition it deserves. Their primary focus is fiction but they selectively consider non-fiction books as well. In light of the rigorous selection process, we’re very flattered to be selected. 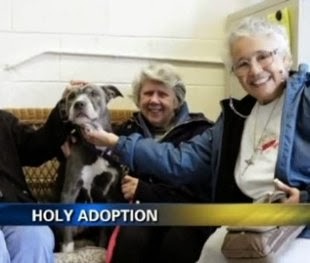 Since Gimme Shelter is the story of a homeless pit bull that ‘saves’ his wayward human guardian, we thought we’d share the tale of some elderly nuns who courageously adopted a senior rescue pit bull named Remy. Given the recent scandals involving the Catholic Church, it’s great to see these ladies walking their talk in the style of Saint Francis. Read the story. Point Dume by Katie Arnoldi – Not For Locals Only. 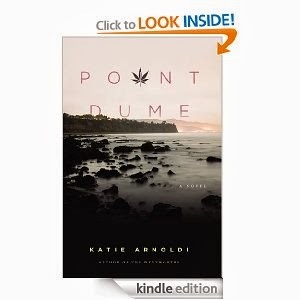 Marry The Endless Summer, Savages and Slackers, shake it up and add a local perspective and a wicked sense of humor and you have Katie Arnoldi’s novel Point Dume. The action centers on the Malibu culture clash between the old-time surf culture, the rich yuppie invaders and cartel pot growers using the nearby mountains as an ‘el norte’ nursery but Arnoldi’s real forte lies in skewering the players on all sides. If you’re wondering what Malibu was like before it was ‘Fabulous’, Point Dume will set you straight and entertain you, too. 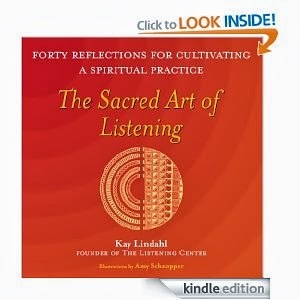 The Sacred Art of Listening by Kay Lindahl – I became aware of the book at an open mic night where Ms. Lindahl spoke. Her gentle wisdom moved me to buy the book and I’m glad I did. Veteran New Age seekers will recognize much of the wisdom in this slender but impactful volume. In forty short but moving essays, the writers explains how listening differs from mere hearing, and how learning to truly do so can be a life-altering event. ← THE BEST ‘FAMILY’ DOGS ARE…WENT FISHING, CAUGHT 4 DEER!